Take a walk beneath moss-covered live oak trees and journey back through time to gas-lit walkways and wraparound porches at Montage Palmetto Bluff. Rich in history and southern charm, Montage Palmetto Bluff is the glamorous summer camp of the South, perched along the May River between Hilton Head Island, South Carolina and Savannah, Georgia. 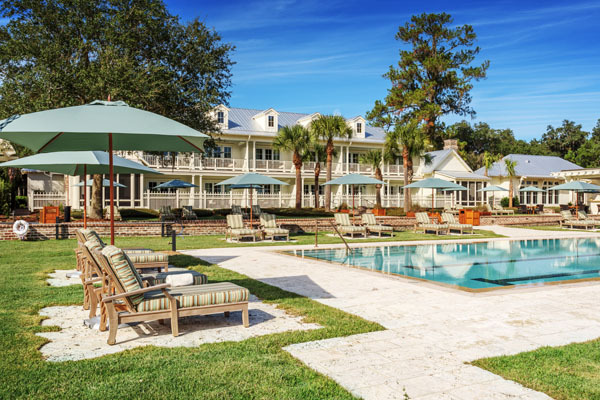 This 20,000 acre LowCountry village resort is the perfect destination for an activity-packed getaway, family gatherings, weddings, and business retreats. 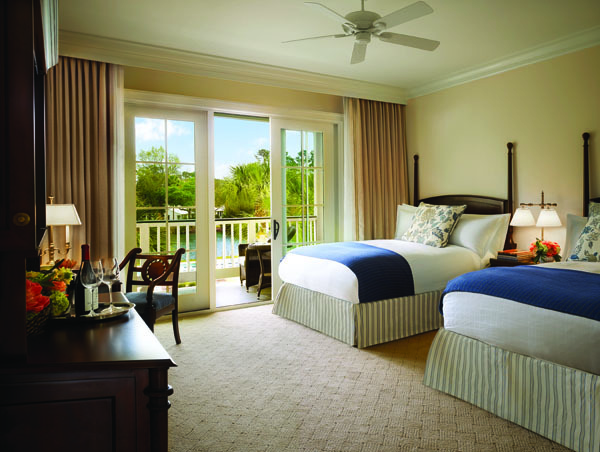 Able to accommodate up to 200 overnight guests, the Montage Palmetto Bluff has 150 rooms, all with a design inspired by its coastal surroundings, as well as 50 Colonial-style cottages and guest rooms with high vaulted ceilings and spacious, luxurious amenities. Whether guests are staying for the weekend or an extended vacation, Palmetto Bluff offers a variety of activities both on land and on the water. Take a boat tour to the historic Daufuskie Island and explore Gullah Culture, spend either half or a full day on the water skiing and tubing, go fresh or saltwater fishing, try paddle boarding or kayaking; the possibilities are endless. Not in the mood for water activities, stop by the Wilson Lawn & Racquet Club for a game of tennis or bocce. The club holds clinics, lessons, and tournaments. Make sure to stop by the renowned Jack Nicklaus golf course, designed to challenge golfers of all skill levels and enjoy a game of 18 holes. Take a shot at some clay at the Shooting Club, head over to the Longfield Stables and saddle up or treat yourself to a relaxing spa day! After an adventure-packed morning, guests can enjoy a traditional Southern lunch. The comfort and soulful food of LowCountry cuisine tells the story of the surrounding areas, as well as the traditions of the people from which it originates. Montage Palmetto Bluff has eight different dining options from which guests can choose. Montage Palmetto Bluff is not only a great escape for adults, but also great for families. The resort is kid friendly and offers fun activities at the Paintbox, the resort’s children’s program. The Paintbox has a mix of games, crafts, movies, and much more activities for the kids. A favorite pastime at the resort is biking around the property; adult and children’s bikes are both provided. Don’t forget to stop by the Montage Residences Residential Sales Gallery and play with River, May, New, and Cooper, all English Labrador Retrievers known as the resort’s Canine Ambassadors. Whether visiting with family or friends, make sure to stop by Boundry Bowling and Game Room. Play a game in the state-of-the-art four-lane bowling alley; other games include pool, foosball, shuffleboard, as well as some classic board games and card tables. End the day roasting s’mores at the River House Fire Pits and reflect on the day’s adventures. 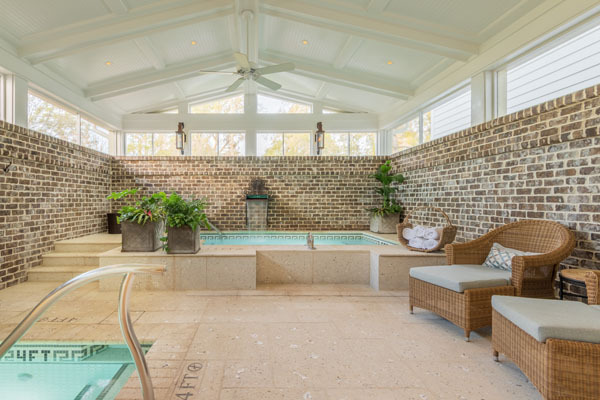 A stay at Palmetto Bluff will leave you feeling relaxed, refreshed, and recharged. Montage Palmetto Bluff is a paradise that will become your home away from home.